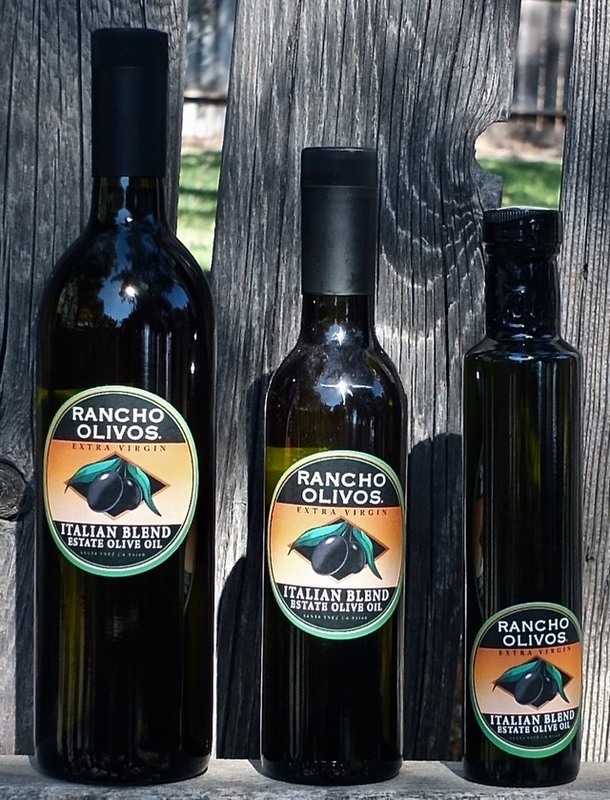 Discover the fresh taste of Rancho Olivos Extra Virgin Olive Oils. Our Olives are all grown, harvested, milled & bottled in Santa Ynez, California. The flavor of our fresh olive oil is superior to any supermarket oil. Our blood orange olive oil has a zesty orange aroma and flavor with a smooth olive oil finish. 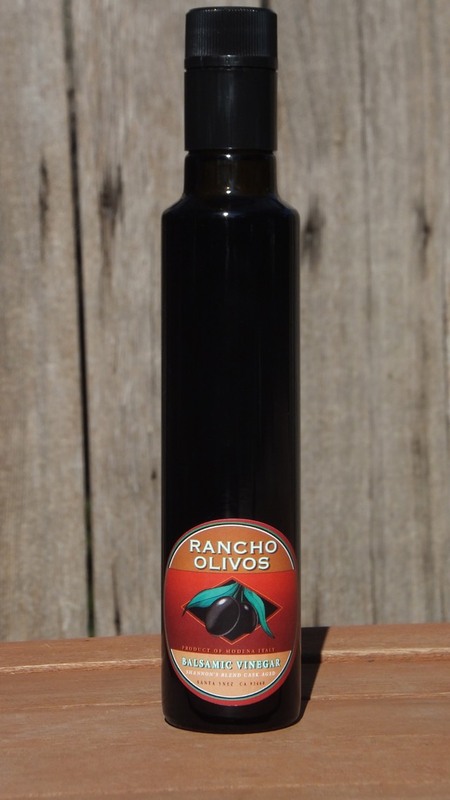 Great with balsamic vinegar, pour over salads, excellent in marinades and super in stir-frys. Gives every dish an extra boost of flavor. 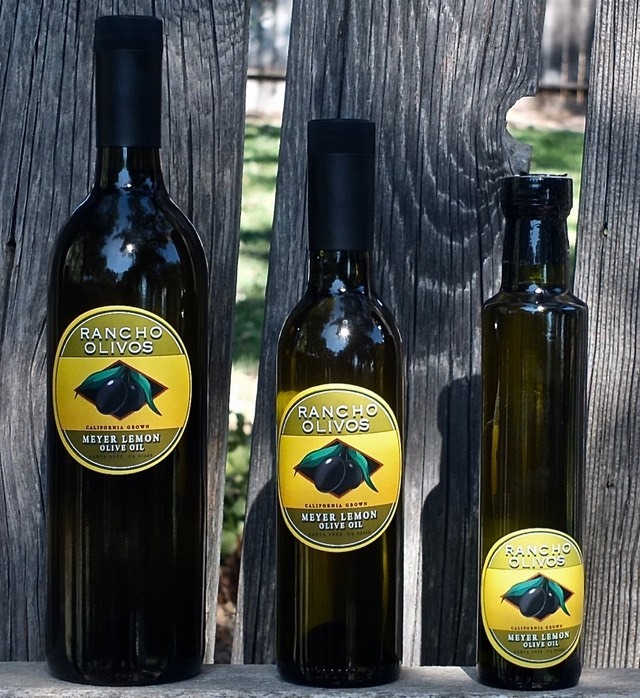 Our Jalapeño Olive Oil is available in 250 ml, 375 ml and 750 ml bottles. Looking to spice up your life? Look no further. 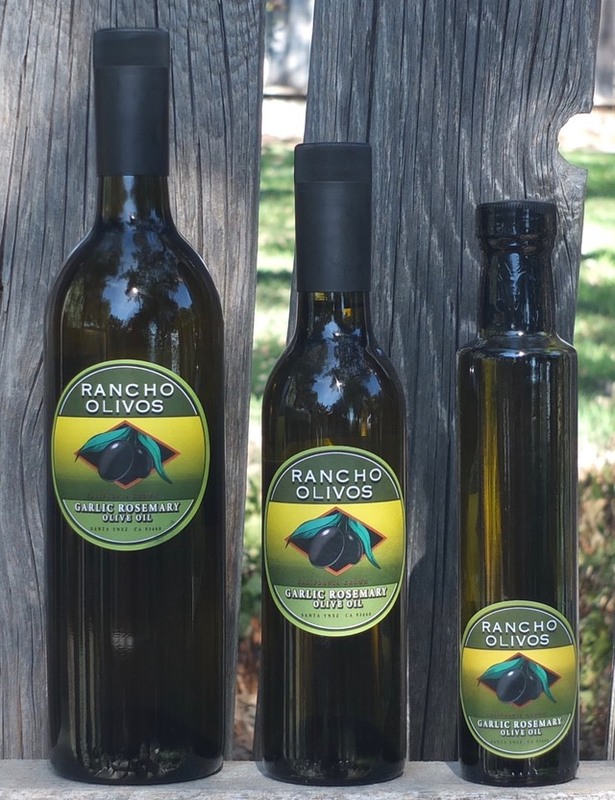 Rancho Olivos introduces its hand crafted Jalapeño Olive Oil for 2016. 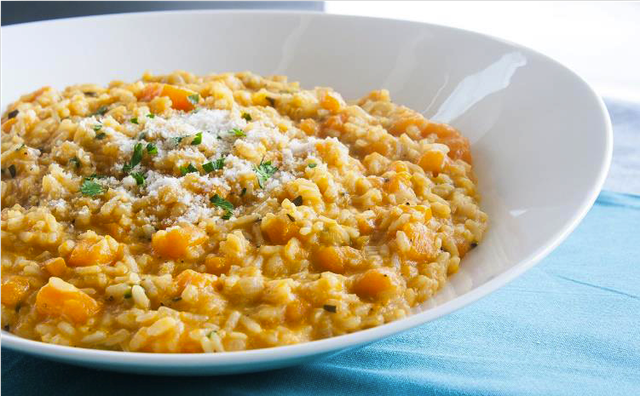 It features the delicious flavor of our olive oil combined with the snap of green pepper and spice. It is not too hot and features a slightly spicy finish. Our Jalapeño Olice Oil is great on pasta, in salas and guacamole. It is also terrific on eggs, tacos, fish and chicken. Arbequina is a spanish Olive Varietal. This olive tree is identified by its bushy shape and its vigorous production of fruit. Because it is a self pollinating varietal, it is identified by its varietal name. The oil from the Arbequina olive is known for its mild fruity flavor. This is a good oil for dipping, vinaigrettes and grilling veggies. 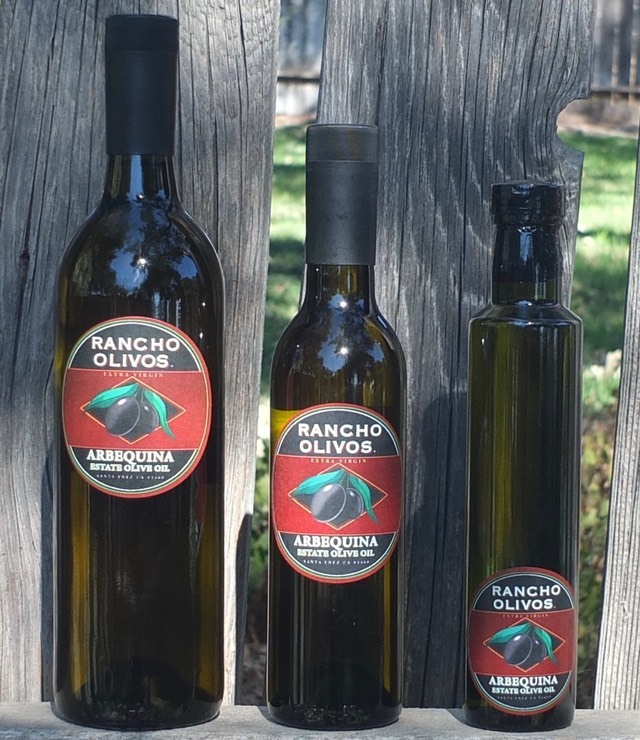 Our Arbequina Olive Oil is available in 250 ml, 375 ml and 750 ml bottles. This handmade oil is crafted from a blend of four different Italian Olive Varietals - Frantoio, Leccino, Grappolo and Pendolino Olives. It has a distinctive fresh grassy, somewhat pungent taste, with a peppery finish. Our Italian Oil is great on pasta with parmesan, in Pesto and with Tomatoes and Mozzarella. Our Italian Blend Olive Oil is available in250 ml, 375 ml and 750 ml bottles. Our Garlic Flavored Olive Oil is made by crushing fresh garlic with the olives as they are being milled. This results in an amazingly fresh taste of olive oil and the wonderful flavor of roasted garlic. Unlike infused oils there is no organic material in it, so our garlic flavored Olive Oil keeps just as long as our other olive oils. What can we say, our Garlic Flavored Olive Oil is great for dipping and putting on just about anything you can imagine. Our Garlic Olive Oil is available in250 ml, 375 ml and 750 ml bottles. 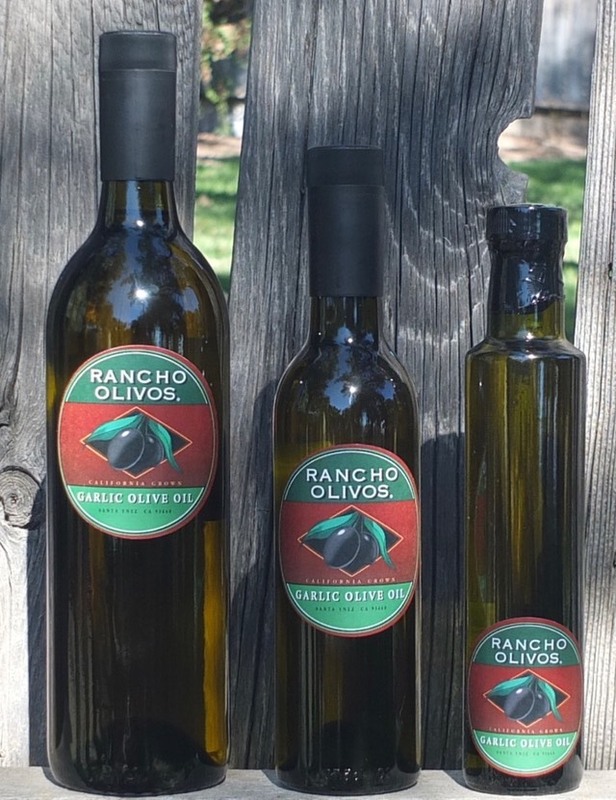 The Olives in our Lemon Flavored Olive Oil are milled with Rancho Olivos own Meyer Lemons. It has a terrific citrusy flavor you’re sure to enjoy. Like our Garlic Flavored Olive Oil there is no organic material in it, so our Meyer Lemon flavored Olive Oil keeps just as long as our other olive oils. Our Meyer Lemon Flavored Olive Oil is terrific on a salad, fish or Chicken. Our Meyer Lemon Flavored Olive Oil is available in 250 ml, 375 ml and 750 ml bottles. This handcrafted herbal olive oil is milled with fresh basil. Our Basil Flavored Olive Oil is lovely on pizza, zucchini, tomatoes, mozzarella and of course fish like Salmon and Halibut. Our Basil Flavored Olive Oil is available in 250 ml, 375 ml and 750 ml bottles. 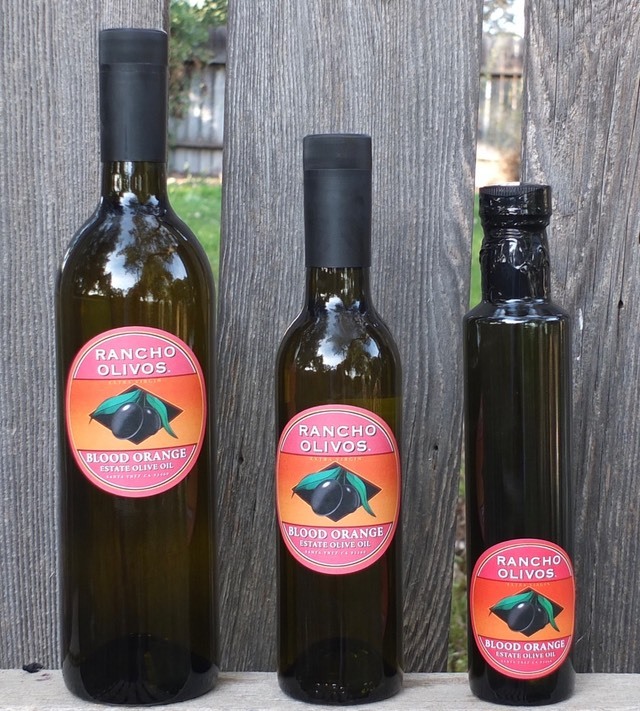 This handcrafted olive oil is a blend of Garlic flavored olive oil and Rosemary flavored olive oil. Our goal was to create a Garlic flavored olive oil with a Rosemary finish. Our Garlic-Rosemary Olive Oil is great on roasted potatoes and winter squash. It is also a flavorful finishing oil for chicken and meats, especially lamb. 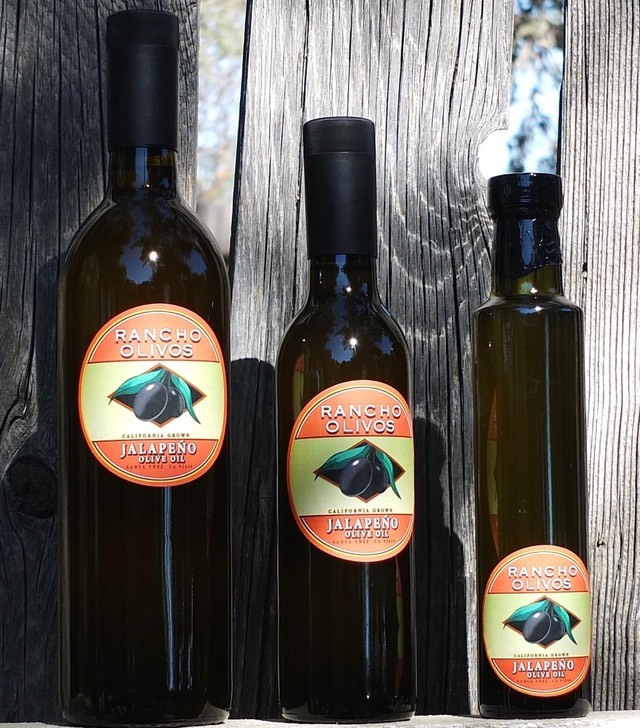 Our Garlic-Rosemary flavored Olive Oil is available in 250 ml, 375 ml and 750 ml bottles. This is Shannon’s Special Blend of Aged Balsamic Vinegars. We import 3 different vinegars from Italy for this blend. This sweet balsamic vinegar is a great compliment to our Olive Oils and will become a necessity in your pantry. We are able to offer it to you at an exceptional price, because we believe that great olive oil deserves great vinegar! Shannon’s Blend is available in 250 ml bottles. This is a great gift to take to a dinner party or other gathering. 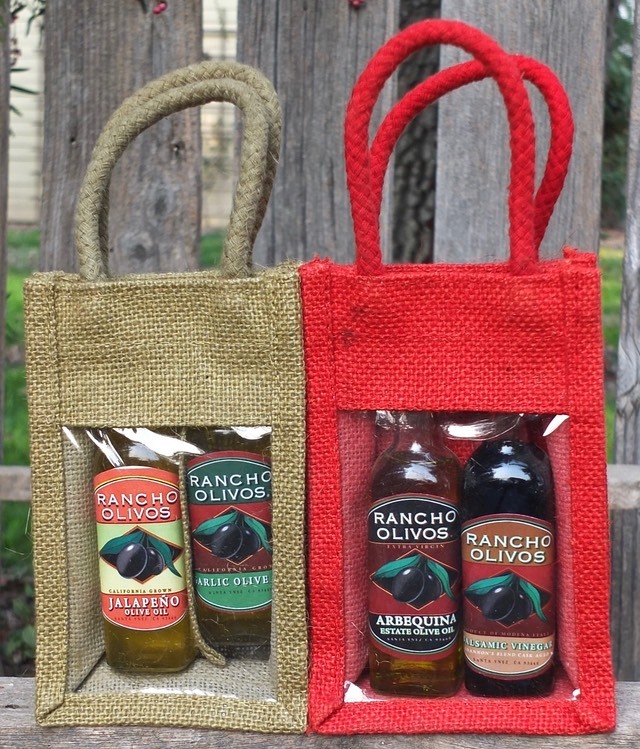 Each package contains two 60 ml bottles of your choice of Rancho Olivos Extra Virgin Olive Oils or Shannon’s Blend Aged Balsamic Vinegar. Arbequina, Italian, Garlic, Meyer Lemon, Garlic Rosemary, Basil, Jalapeño or Balsamic Vinegar. Like us on Facebook and get a free olive oil spout with your next order. A $5.00 value.